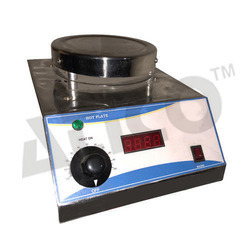 Providing you the best range of heating mantles, magnetic stirrer, multiple spindle stirrer flocculator, magnetic stirrer abs top, rectangular heating plate and round heating plate with effective & timely delivery. Heating mantles are made of each size to provide uniform heating. Bigger sizes of mantles have two or three heating circuits so that upper circuits could be switched off when smaller sizes flask is being heated or when liquid level is dropped. Electric heating net is hand knitted form glass yarn to attain Temp. Upto 300 Deg C.
These are lagged with special created mineral wool provided with ON/OFF switch and pilot lamp. Digital Bomb Calorimeter is ideal for the determination of calorific value of liquid and solid. These are designed in compliance with the specifications of the Institute of Petroleum and the British Standard Institution. Used for determination of heat combustion of organic matter and calorific value and sulphur content of coal, solid and liquid fuels. The Bomb has a capacity of 300ml approximately. The bomb is provided with a high-pressure Schrader valve, which opens and allows filling of bomb, by oxygen because of oxygen pressure from the cylinder. Each bomb is tested as per the requirement of Institute of petroleum (IP 12/63T). Supplied with water Jacket, Stirrer, Connecting leads, connecting tube to connect bomb and pressure gauge. Supplied with fine adjustment valve to connect pressure gauge and oxygen cylinder. Supplied with pressure gauge on stand, spanner for oxygen tube connection, ignition wire (2 meters) Nichrome. 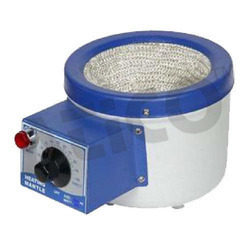 Supplied with Cotton Reel, stand for Bomb Lid, Hook for lifting Bomb, Stainless Steel Crucible. Supplied with Gelatine Capsules, Gas Release Valve, Jacket Thermometer. 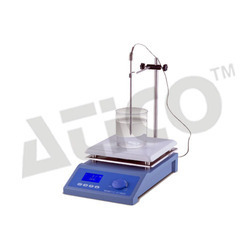 Lab Products Flocculator jar testing apparatus has an extensive range and is manufactured in accordance to the set industry standard & as per the international quality standards. Along with some standardization Flocculator jar testing apparatus is highly customized according to wishes and requirement of our esteemed customers. 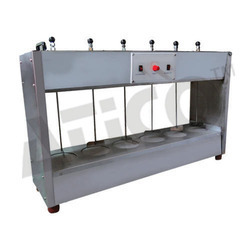 Flocculator jar testing apparatus are used for uniform stirring of liquid samples. 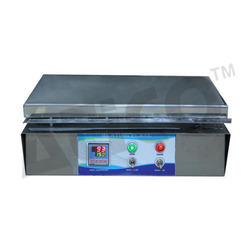 Magnetic stirrer also called as magnetic mixer is a laboratory device that employs a rotating magnetic field to cause a stir bar (also called "flea") immersed in a liquid to spin very quickly, thus stirring it. The rotating field may be created either by a rotating magnet or a set of stationary electromagnets, placed beneath the vessel with the liquid. It is used extensively in Pharmaceutical industry along with various other chemical industries. 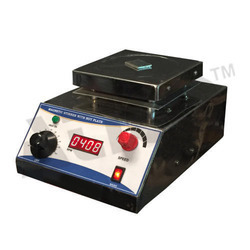 1500 watts provided with Energy Regulator to control the Temperature up to 300 Deg C.
Looking for Hot Plate Stirrers And Heating Mantles ?